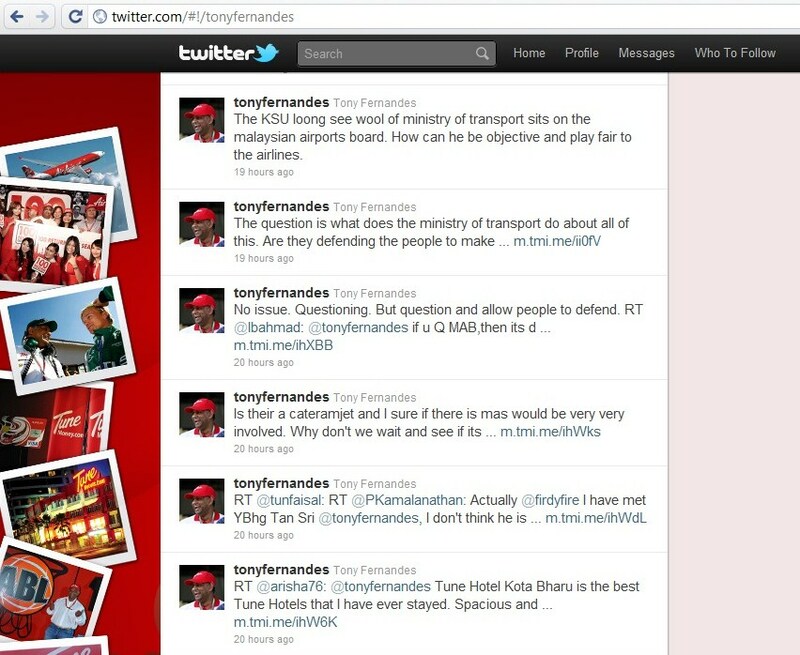 AirAsia CEO Tony Fernandes really put up a ‘show’ about his tweets, taking potshots via micro-blogging almost two weeks ago. KUALA LUMPUR: AirAsia Bhd may have called off a press conference yesterday on Malaysia Airports Holding Bhd’s (MAHB) airport tax hike but that didn’t stop its co-founder from taking to Twitter to vent his frustration.In a series of tweets which started in the morning, Tan Sri Tony Fernandes raised questions on MAHB’s operations, the effectiveness of members of parliament (MPs) and the objectivity of the Ministry of Transport (MOT). Lumpur International Airport (KLIA) when there are ways to increase utilisation of existing runways. with two runways. Fix the air traffic system MAHB. Would have been cheaper than building another runway,” he said. Fernandes questioned why MPs, who had criticised him, have not questioned the cost of airports and fought for lower taxes for the rakyat. MOT was also not spared, as Fernandes put to task its role in regulating airports. “The (secretary-general Datuk) Long See Wool of Ministry of Transport sits on the Malaysia Airports board. How can he be objective and play fair to the airlines?” he asked. Fernandes’ rant was triggered by the hike in airport tax, landing and parking charges which took effect yesterday. Last month, MAHB announced that MOT had approved a RM14 increase in airport tax for international passengers to RM65 per passenger for most of its international airports. The low-cost carrier terminal in KLIA and Terminal 2 in Kota Kinabalu saw charges go up by RM7 per international passenger to RM32. Landing and parking charges will rise in three stages over three years. Landing charges will be nine per cent higher and parking charges will be increased by 18 per cent a year. This tweet attack was a strategic in nature. The ulterior motive was consistent. First of all, for him to question the rational of a third runway onto of 32 Left and Right at KLIA is really baffling. The airport is already handling 33 odd million passengers annually, which roughly two-and-three-quarters-of-a-miilion per month. That is over 90,000 passengers per day. KLIA is already seeing over 750 take-offs and landings per day. When KLIA2 is ready sometime third quarter next year, the amount of passengers passing through KLIA would expect to rise gradually to 40 million. Soon enough, the two runaways would no longer able to cater the traffic. His low cost carrier airline business depends on the fast turn around of the narrow body domestic and short haul flights. It means that more quickly aircrafts be put on air, better it is for the business. A third runaway would translate to quicker turn-around for his A32os, as lesser time is spent on final approach or the queue before take off. What is more baffling is that, Air Asia has been in very active participation in talks and working committee with Malaysia Airports Holdings Bhd. (MAHB) for quite a bit now. If he is against the notion of the third runaway, why is he taking this via twitter now? Shouldn’t have Fernandes raised this much earlier? Fernandes raised the issue about cheaper airport taxes and charges. What he failed to do is to inform the public that when he first started, MAHB was very considerate to allow his AirAsia operate for three years without the charges. That gave his low cost carrier a lot of slack and room to build the business, this far ahead in so short of time. Despite benefitting immensely from the slack, he had the cheek to ask for 2 more years. What Fernandes also conveniently never want to bring up is that MAHB has not increase airport charges for the past 19 years, even though cost of operation has increased through the years. Of course another point was conveniently omitted is that the charges is one of the lowest in the world. More charges would mean that MAHB will afford to give better airports for travelers. Services offered in airports could be upgraded to cope with more sophisticated demands of travelers, which also include beautification. Malaysian airports should be upgraded to match in the likes of Terminal 3 in Changi, Chap Lek Kok in Hong Kong, Kansai in Tokyo and Terminal 5 in London Heathrow. All of this is about ‘wayang‘. The crux of the matter is that, Fernandes wanted to operate his own airport. He has been harboring this intention since three years ago, when he got Sime Darby to pitch for a dedicated low cost carrier airport in Labut approvahe Malaysian Government. When that failed, he tried for Penang International Airport. Then, he tried to coax Perak State Government to demand of a dedicated low cost carrier somewhere near Parit Buntar. Fernandes had even been said to have wanted to throw MAHB CEO Tan Sri Bashir Ahmad out. Then again, Fernandes was in the show business before he went and tried his luck for AirAsia. He had always been playing the underdog card all the while. Just like Opposition politicians. Their staregy, like Fernandes, is to make ‘pre-emptive strikes’ and cast the doubt ahead before the issue is ready for public consumption. Just like Oppositions’ ‘politics of hatred’, Fernandes is attempting to make MAHB as the ‘balddie’. Nevermind how he denied passengers’ comfort (especially old folks, families with little children and the physically challenged) with his refusal for the aerobridges. Nevermind also the point that in the planning for KLIA2, he did not want air-conditioning. It was said when LCCT was being constructed, Fernandes did not want any lifts. Tony Fernandes ‘drama’ is slowly becoming the soap-opera where the baddies is often highlighted. 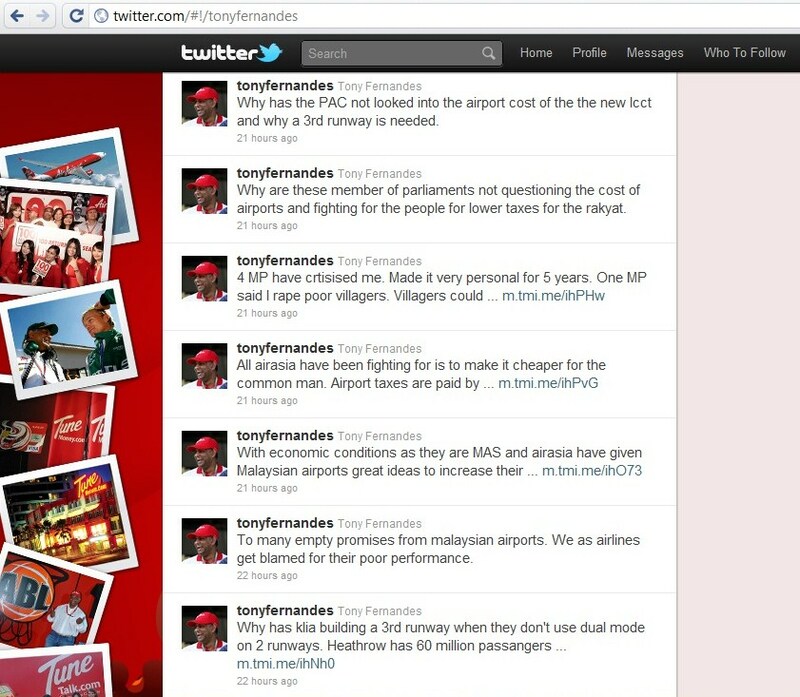 Yah….this tony..is drama king…and all malaysian been cheated with his drama….let study his tweet on this “MOT was also not spared, as Fernandes put to task its role in regulating airports. Hallo Drama King….Ur in Airasia Board and CEO of Air Asia and yet you be in MAS board of DIrector and Working Exco…..Tony, what have you done to firefly thru ideas in MAS working Exco, MAS Bandung route clx, firefly route clx….Tony your afraid of MAS and FIrefly….your using creative accounting to show good on paper Airasia acccount…ERMMMMM……when last time the share holder get a dividen….You use MAS and Airasia money to sponsor your personnal investment….football club,,,,,and MAS new board directors also stupid can agree with him….all the while the immediate benefit all for Airasia…MAS…cut the route,clx route….and Tony will teach how to do creative accounting and than MAS will make profit….MAHB airport tax collected from passengers but delay in trasfer the money to MAHB, if passenger x flight and ask for airport tax return…Tony charge the admin fees which is nearly high as the airport tax it self. 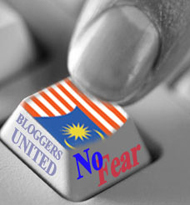 I dont blame tony….drama is his rice bowl…but what the idiots in MAS board of director doing….just rubber stamp. So are you guys OK with the unexplained cost escalation of the KLIA2 by MAHB? 2. Higher airport tax when i travel. There would be a media conference by MAHB on KLIA2 this evening at 1700hrs. We don’t want to jump the gun and divulge in here what are the material factors in the media conference, designed for the increased cost. what tony koliang said does make sense. usage of the runaways is optimised. 10 landing per hour /runway. Landing rate is still 1 landing per 6 minutes . and waiting areas for parking and take offs . no wonder gomen is at the lowest point!! MAHB had done charity for Air asia for the first 3 years when air asia started operations.Please please please Tan Sri,this is not TUPPERWARE business lorr..